ACT’s children and young people reported the lowest levels of feeling safe and secure in out-of-home care systems. Few people would argue that ensuring our children are safe should be a priority for our community. The pointy end of managing children’s safety is the out-of-home care system. This is the system that is used when children and young people are unable to live with their birth families – either temporarily or longer term. Across the ACT and Australia, there are a number of children and young people who need to be in the out-of-home care system. While the Government and not-for-profit organisations are working to improve the experience of out-of-home care for children and young people, we do know that it is hard work. Regular government reporting of the performance of states and territories aims to track how Governments are doing and found that over a number of years, the ACT has had high numbers of Aboriginal and Torres Strait Islander children and young people being placed in the out-of-home care system. While this type of reporting is vital, one thing that often gets missed is hearing from children and young people themselves. This week however, the CREATE Foundation has released research that reports directly from children and young people on how they are faring in the out-of-home care system. This is the second time that the Foundation has undertaken this study against the National Standards, and compares what children and young people are saying as compared to Government reporting on these areas. 63 children and young people from the ACT aged between 10 years of age and 18 joined around 1200 others from around Australia to share their perspectives. While a relatively small number of ACT participants, this represents around 11 per cent of the total proportion of ACT kids in this age range in out-of-home care. The good news is that across Australia, 93 per cent of children and young people reported feeling safe and secure in their placement. While rates are high, it is concerning that the ACT’s children and young people reported the lowest levels of feeling safe and secure of any Australian jurisdiction. 86 per cent of ACT respondents reported feeling safe and secure, well behind Tasmania and Western Australia respondents who had a rate of 96 per cent. Stability is a key issue for people in the out-of-home care system. This is often measured by the number of placements a child or young person is subject to during their time in the system. Again, it is concerning to see that the ACT’s children and young people are experiencing more placements than most of their peers in other jurisdictions. Less than 40 per cent of ACT respondents have had only one or two placements, compared to more than 60 per cent of respondents from NSW and Tasmania. While nationally, 31 per cent of children and young people indicated they had been moved from a placement they didn’t want to leave, in the ACT, this figure was much higher, at 47 per cent. An interesting part of this survey is that it has been able to compare findings relating to some elements of meeting the National Standards to those found in government reporting that was done in 2015. This included the number of young people who had a case plan that dealt with issues around their health, education, wellbeing and other issues. While Government reporting stated that 82 per cent of children and young people had case plans, only 44 per cent of respondents to this survey thought that they had one. While Government stated that 81 per cent of Aboriginal and Torres Strait Islander children and young people had cultural plans, only 18 per cent of respondents thought that they had one. CREATE suggests this might be because children and young people may not have been involved or participated in the development of these plans, may not realise the discussions they are having contribute to the plan or aren’t clear about how these plans are being reported. 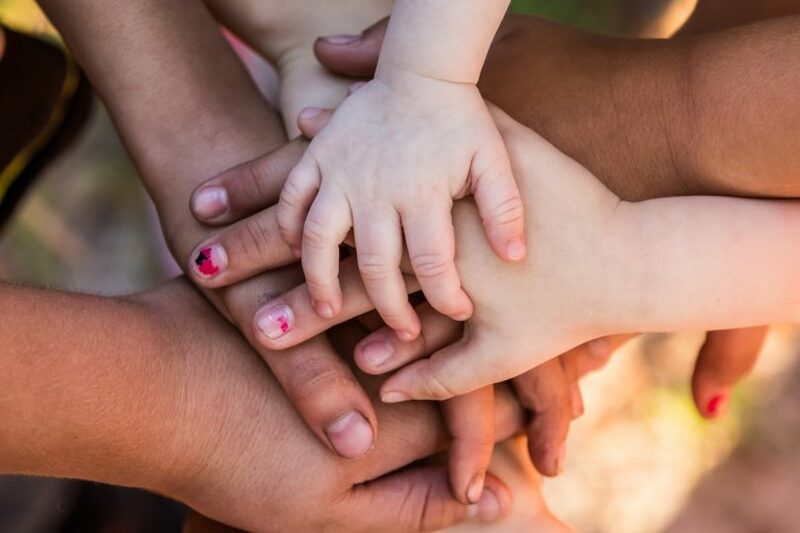 The ACT Government has invested heavily in creating a more trauma-informed out-of-home care system in recent years, with the introduction of the Step Up for Kids Strategy. Services and workers in this difficult area are overwhelmingly committed to improving the experience of children and young people who are unable to live with their birth families. While some of the findings of this report may be confronting to those working in the area, it is an opportunity to reflect on the experience of young people and a chance to come together to make the system even better. I think that this report highlights the importance of involving children and young people in the design of the out-of-home care system and the importance of asking them about their experience. What do you think? Unfortunately the system has no interest in supporting families or bringing them back together. Less children would be in care if they did their job right.